Olympic medallists Alex Partridge and Garry Herbert have paid tribute to former Great Britain rowing cox Acer Nethercott, who has died, aged 35. 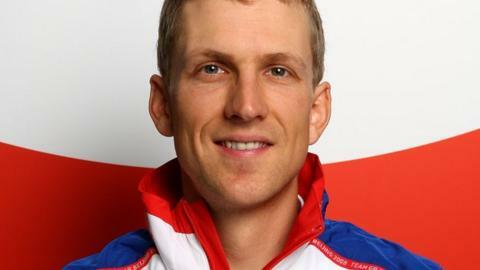 Nethercott, who won silver with GB at the 2008 Games, had brain cancer. Partridge, a rower in that team, said: "He was a great cox, coach and mentor. He'll be greatly missed." Cox Herbert, a 1992 gold medal winner, added: "Fierce, keen and eager is what I understand Acer's name to mean and his personality matched." Partridge was in the men's eight team, guided by Nethercott, that finished runners-up to Canada at the Bejing Olympics. "Acer was an amazing communicator and I remember him in the race desperately urging us on, and the clarity he gave," he told BBC Sport. "He was gracious in winning the silver medal and fact we didn't win. Having dieted down to the weight he needed to be, he enjoyed the eating aspect afterwards. "He was a great friend who I, and a lot of people, will miss a lot. It's a shame when you lose someone so young and someone who had such an impact on people's lives. "I think he had struggled with illness over the last couple of years but kept it to himself. That's just testament to fact he wanted to be known as Acer the guy we always knew him as, and not the guy struggling with illness." Nethercott, who grew up in Essex, was twice a Boat Race winner with Oxford but controversially lost to Cambridge in 2004 after a clash of blades. The cause of his death has not been given. He was a member of Molesey Boat Club in Surrey, where Herbert said news of his death stunned rowers on Sunday morning. "The changing room was in complete shock," said Herbert, who won the coxed pairs with brothers Greg and Jonny Searle at the Barcelona Games. "People like Jonny, Martin Cross and Tom James were down there, people that knew him very well. He was only 35 but he did so much in a short period of time since he came on to the international scene." Nethercott was in contention to cox the men's eight for London 2012, before the role was given to Phelan Hill. GB went on to win bronze, finishing behind Canada and gold medal winners Germany. Nethercott also coxed Oxford to Boat Race victories in 2003 and 2005, and won bronze at the 2007 World Rowing Championships with the GB men's eight. Herbert added: "At Molesey an eight goes out every Saturday and Sunday morning. Jonny organises it and even Sir Steve Redgrave pops up every now and again. Acer was a part of that and he did a lot with the Sporting Giants programme, which was looking for the next guys that are coming through. Di Ellis, chairman of British Rowing, said she was "deeply saddened" by his death. "Acer was a young man who always appeared as an independent spirit with a sense of fun but once in the boat was a determined competitive cox for his crew whether club, university or country," she said.